We are committed to researching and recommending the best financial solutions and products for our readers. The Balance has partnered with CardRatings and may receive commissions from links within our content, but these have no bearing on our reviews or recommendations. The below content has not been reviewed, endorsed, or approved by any card issuers prior to publishing. If groceries are one of your biggest monthly expenses, having a credit card that pays higher rewards on grocery purchases is a must-have. The best credit cards pay up to 6% cash back on your grocery purchases and allow you to earn rewards on your other credit card purchases, too; you may find yourself using one credit card for everything to maximize the number of rewards you can earn. Each of the credit cards on our list pays a signup bonus if you meet the minimum spending in the first three months of opening your credit card. Keep in mind that interest rates tend to be higher on rewards credit cards. Because of that, you’ll want to pay your balance in full each month to avoid costly finance charges that can dampen the benefits of the rewards you earn on grocery purchases. With that said, read on to see which credit cards you should swipe the next time you pick up milk and eggs at the store. To earn the most on groceries, the Blue Cash Preferred American Express is a must-have. The credit card pays 6% cash back at U.S. supermarkets on up to $6,000 per year in purchases. Keep your shopping to U.S. supermarkets only – grocery purchases at warehouse clubs, superstores, corner stores and specialty food stores don’t qualify for the 6% category and will instead earn rewards at the base rate of 1%. On top of the rewards you earn on groceries, you’ll also earn 3% cash back at U.S. gas stations and select departments and 1% cash back on everything else. Grocery purchases above $6,000 in a calendar year will earn 1%. 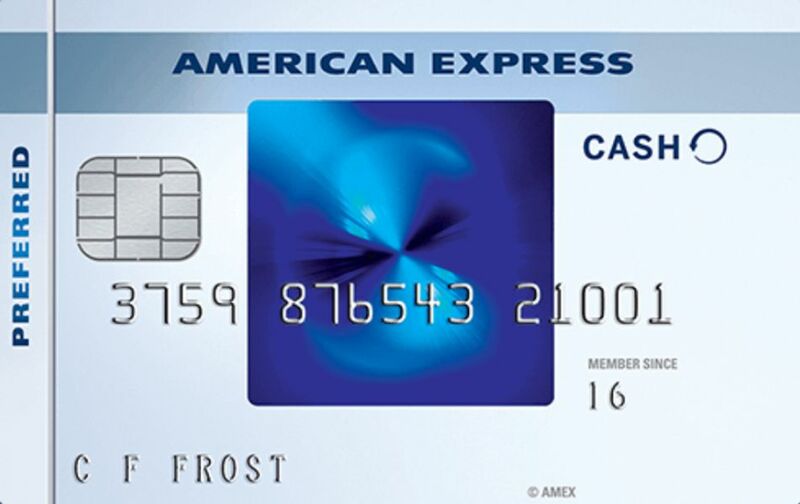 The Blue Cash Preferred from American Express comes with a generous signup bonus. Spend $1,000 in the first three months of having your credit card and you’ll earn a $250 statement credit. Important Pricing: Enjoy 0% introductory APR on purchases and balance transfers for the first 12 months. After that, the regular APR will be 15.24% to 26.24% based on your creditworthiness. The annual fee is $95. The Blue Cash Everyday Card from American Express also pays great rewards on grocery purchases, but without the $95 annual fee. Your grocery purchases will earn 3% cash back on up to $6,000 per year. Like the Preferred version of the Blue Cash Amex, you’ll have to make your grocery purchases at U.S. supermarkets to qualify for 3% cashback rewards. The Blue Cash Everyday Card from American Express also pays 2% cash back at U.S. gas stations and select departments and 1% cash back on everything else. Grocery purchases over $6,000 in a calendar year will earn 1% cash back. You can earn a $150 bonus statement credit by spending $1,000 in the first three months of having your credit card. Important Pricing: Enjoy 0% APR on purchases and balance transfers for 15 months. After that, the regular APR is 15.24 to 26.24. In case you missed the news, Amazon acquired Whole Foods in early 2017. Not long after that, Amazon added Whole Foods purchases to its Prime Rewards Visa, which is available only to Amazon Prime members. With the Amazon Prime Rewards Visa, you’ll earn 5% back on Whole Foods Market and Amazon.com purchases – with no cap. On top of that, you’ll earn 2% back at restaurants, gas stations and drugstores, and 1% back on everything else. If Prime Pantry is available in your area, use your Amazon Prime Rewards Visa to earn 5% cash back on those purchases. New cardholders get a $70 Amazon.com gift card upon approval, with no wait times and no minimum spending requirement. You can redeem your rewards in any amount on eligible purchases at Amazon.com. You can also redeem for points, for a minimum of 2,000 points. Important Pricing: There’s no annual fee for the Amazon Prime Rewards Visa, but you must have a Prime membership which is currently $119. The APR for purchases and balance transfers is 16.24% to 24.24%. The Bank of America Cash Rewards Credit Card has a tiered rewards program that pays higher rewards on your first $2,500 in combined grocery, gas and wholesale club purchases each quarter. Grocery and wholesale club purchases earn 2% back while gas purchases earn 3%. All your other purchases earn 1% cash back. Spend $500 in the first three months of opening your account and you can earn a $200 signup bonus. Being a Bank of America customer allows you to boost your rewards. With a bank or investment account with Bank of America or Merrill Lynch, you can earn up to 75% bonus on your rewards depending on the balance you maintain in your account. Important Pricing: Enjoy a 0% introductory APR for the first 12 billing cycles on purchases and balance transfers made within the first 60 days. After that, the regular APR is 15.24% to 25.24%. There’s no annual fee. The newest rewards credit card from Capital One, the Savor, pays great rewards on food purchases including groceries. While most rewards credit cards limit the amount you can earn in the best paying categories, the Capital One Savor allows you to earn an unlimited number of rewards. Earn 2% on purchases including groceries. On top of that, you’ll earn 4% on dining and entertainment and 1% on all other purchases. Plus, you can earn 8% cash back on tickets at Vivid Seats through May 2020. Spend $3,000 in the first three months after opening your account and you’ll earn a one-time $500 cash bonus. There’s no limit on the rewards you can earn and you can redeem rewards in any amount. Important Pricing: There’s no annual fee for the first year ($95 after that) and no foreign transaction fee. The PenFed Platinum Rewards Visa Signature Card pays points that you can redeem for cash back, gift cards, travel and more. You’ll earn three points for every dollar you spend on groceries and military commissaries. In addition, you’ll earn five points for every dollar you spend on gas and one point for every dollar you spend everywhere else. You can earn a $100 statement credit if you spend $1,500 in the first 90 days of opening your account. Important Pricing: The regular APR for purchases and cash advances is from 11.74% to 17.99% based on your creditworthiness. The Chase Freedom Unlimited doesn’t have any tiered rewards structure, which is great for earning rewards on groceries and all your other purchases without having to keep up rewards categories. And since you can earn an unlimited amount of rewards, you don’t have to worry about a rewards threshold. Earn 3% cash back on all purchases in your first year on up to $20,000 spent. After, earn unlimited 1.5% cash back on all purchases. Important Pricing: Enjoy 0% introductory APR for 15 months on purchases and balance transfers. After that, the regular APR is 17.24% to 25.99%. We are committed to researching and recommending the best financial solutions and products for our readers. The Balance has partnered with CardRatings and may receive commissions from links within our content, but these have no bearing on our reviews or recommendations. The above content has not been reviewed, endorsed, or approved by any card issuers prior to publishing.